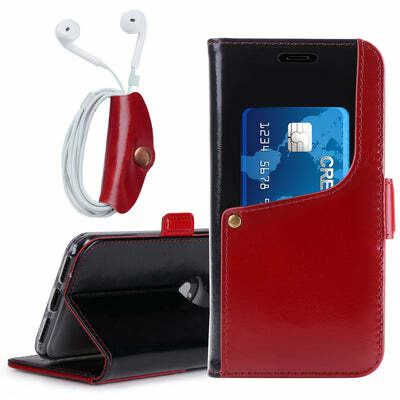 Easily keep in touch with your credit cards, cash, and ID. 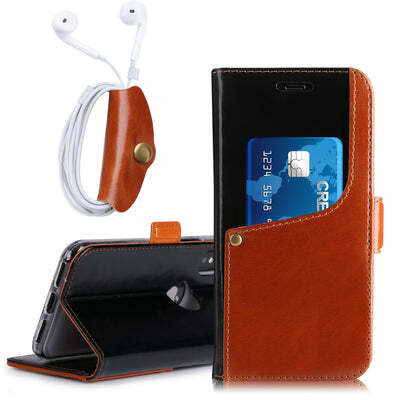 The soft genuine leather is made of premium materials that give the case a fine texture, a polycarbonate hard shell with a inner core provides protection from drops, scratches + other impacts and cozy appearance while providing firm grip and durability. Envision enjoying the phone stand while you watch your favorite shows on the go, and never have to worry about tangled earphones ever again. Click "Add to Cart" to get the one wallet case you can't live without.